MOUNTAIN VIEW, Calif. - Aug. 6, 2018 - PRLog -- A new book from an award-winning author helps nonfiction writers learn how to communicate more effectively about the topics that matter to them. 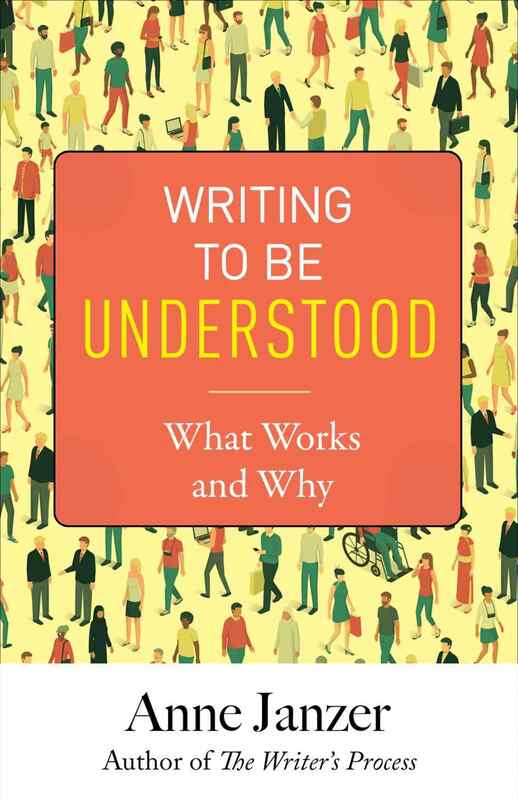 In Writing to Be Understood: What Works and Why,($16.99, Cuesta Park Consulting, August 2018) author Anne Janzer examines the unique challenges of writing about abstract topics, and explores the methods of the most effective communicators. The book releases, appropriately enough, on National Book Lover's Day (August 9th). "As the world becomes more complicated and interconnected, we need more writers who can communicate across chasms of belief and understanding," says Janzer. "In this book, I set out to explore what differentiates the most effective writers and explainers, so that we can all learn how to be more like them." The book covers nonfiction writing techniques such as using analogies, storytelling, and imagery to engage readers and explain abstract topics. The section on "How to Not Be Boring" covers balancing credibility with humility, using humor, and finding your personal tone and style. Each topic includes a brief exploration of the cognitive science – the why behind effective writing techniques. The book includes interviews with bestselling nonfiction authors like Daniel Pink, psychologists, comedians, economists, and others. Anne Janzer is the author of three other books, including the award-winning The Writer's Process and The Workplace Writer's Process. She regularly blogs, teaches, and speaks on book marketing and nonfiction writing techniques. Writing to Be Understood: What Works and Why ($16.99 in paperback, 228 pages, ISBN 978-0-9996248-2-1, also available in hardcover and ebook) will available August 9th through neighborhood and online booksellers. The Kindle book will be discounted to $2.99 until August 17. Book reviewers and bloggers can find the title on NetGalley. For more information visit https://annejanzer.com/book/writing-understood/.